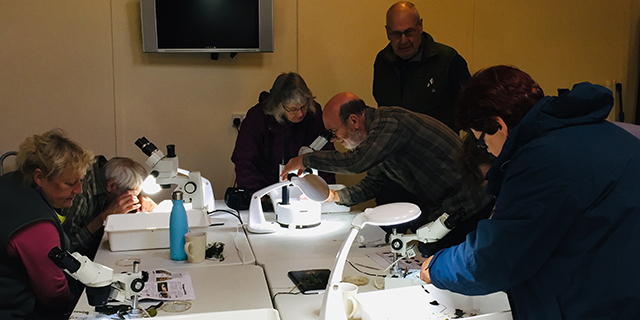 Participants were introduced the underwater world of aquatic invertebrates and plants at Wheatfen on Sunday 23rd September. 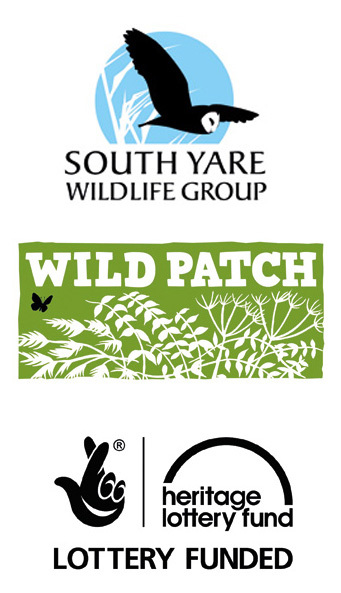 As ponds are one of the five key Wild Patch habitats, this workshop built upon the pond restoration event held last year. We looked at different growth forms of water plant, which included those that float on the surface or root into the sediment. As plants form an essential part of the habitat structure in the underwater environment, the types of invertebrates that live on and among them were also investigated. 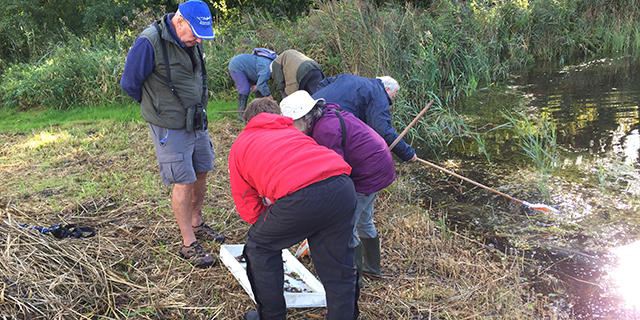 The large pond near the Thatch hide at the Ted Ellis Trust reserve was sampled with long handled nets, with the findings sorted in large white trays. We quickly spotted some of the larger water bugs, including impressive water scorpions and fierce looking saucer bugs. The net sweeps from the thick vegetation produced large amounts of grazing molluscs, with several species of ramshorns and pond snails. Back in the study centre we were able to look in more detail through the microscopes. Here a greater range of smaller creatures were revealed, like mayfly nymphs and the tiny crustacean water fleas. Some of the water scorpions were also spotted to have orange coloured parasitic water mites on them, which were just less than one millimetre long. 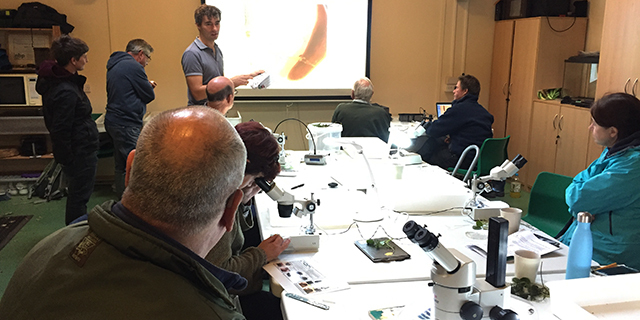 Having seen a wide range of underwater life, the twelve workshop attendees were better able to consider the health of their own ponds, or those near their homes. 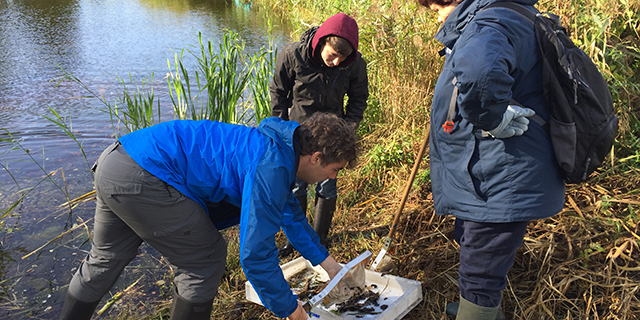 Lots of wildlife visits ponds, but looking at life under the water can tell us most about the quality of these habitats.